Bladderwrack (Fucus Vesiculosis) is a species of brown seaweed that is native to the northern Atlantic and Pacific coasts. Bladderwrack contains high concentrations of iodine and various L-fucose compounds, and for this reason it has been supplemented for hypothyroidism. Studies show that l-fucose compounds help the body fight off infections by preventing bacteria and viruses from binding to human cells. Fucoidan may help lower LDL cholesterol levels, blood glucose, act as an anti-inflammatory, and as an anti-bacterial. Bladderwrack when supplemented has shown to help boost and strengthen the immune system. 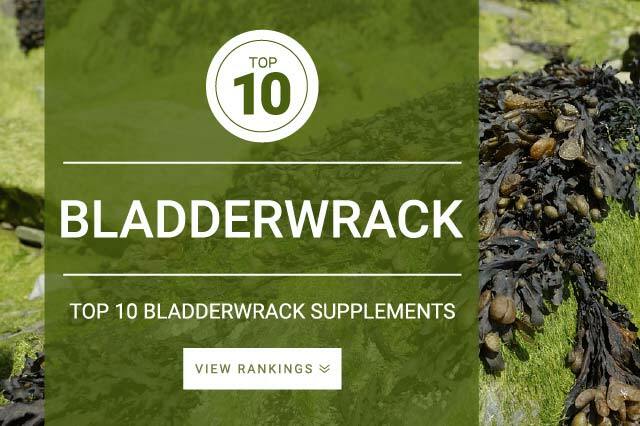 Bladderwrack contains alginic acid which is a type of dietary fiber that may help alleviate constipation. It is important to take no more than 150 mcg of iodine from all courses, including bladderwrack, per day. Due to most bladderwrack supplements not indicating the mount of iodine content per serving, it is important for you to consult a physician before supplementing bladderwrack on your own.